It is spread over 9 acres in the traditionally home of the kings, Devanahalli. It has 117 plots sizes varying from 1160 to 2300 Sq ft. Sobha Landscape is located on National Highway-7 – Connecting Bangalore to the other IT Hub Hyderabad. The Project is approved for funding by all leading Banks. Project is Sanctioned by BIAPA. Here is a Limited Period – LAUNCH OFFER – Nitesh Melbourne Park, Hennur Road, Bangalore – by Nitesh Estate, a Leading Bangalore & South India based Developer. Premium Condominium Homes @ – Nitesh Melbourne Park, Hennur Road – in the most sought after Location of North Bangalore. An Elegant Elevation that provides a contemporary Ambience. A Micro Climate Responsive envelope with adequate shading device. Exclusive 440 Homes spread over in 10.8 Acres – Low Rise Building of only G+4 Floors. Exclusive 2.5 acres of Lush Green Central Courtyard, with the state of the Art Amenities & Club House. On Hennur Main Road, 5.3 km from the Outer Ring Road Junction, opposite Poorna Pragna School. Located in a serene surrounding, tucked away from the main road by 100 m, Ideal location to stay for today’s lifestyle. Welcome to Purva Palm Beach on Hennur Road. Planned on the lines of a tropical beach resort, the project with a central courtyard – The Lagoon – on 4 acres, promises to replicate the sights and sounds of the sea in Bangalore. Actually the inspiration to launch this project in Bangalore arose from the collective dreams of successful Bangaloreans like you. People who’re relentlessly busy working without breaks; people who, inspite of their busybee existence, still nurture the hope of taking short vacations at getaways by the sea. At Puravankara, we understand you like no other. Which is why, we’re oering you a home that brings the landscape of a beach and tropical backwaters to your doorstep in Bangalore, so that you continue to enjoy your extended stay at a tropical paradise. Proximity to Manyata Tech Park, KIADB Park, IT Investment Region and Devanahalli Business Park. Approx. 2 Million sqft of office space is likely to be developed between Hebbal, Bellary Road, Thanisandra and Hennur Road. Infrastructure investment to drive growth in Hennur: Proposed widening of Hennur Road from 80 feet to 120 feet, and investments worth Rs. 292 crores earmarked for the improvement of ORR that connects Hennur to the far South, East and West of the city. The 116 km proposed Peripheral Ring Road shall ease the connectivity between Hennur Road, Bellary Road & Old Madras road amongst others. 72 kms Metro Rail Phase 2 – A Parallel Line is planned to the North South Corridor, running between Nagawara (Short distance from our Purva Palm Beach) to Gottigere in the South. 2&3 BHK In Purva Palm Beach.Off-Hennur Road. It is spread over 40 acres in the traditionally home of the kings, Devanahalli. It has 323 plots sizes varying from 180 Sq yards to 500 Sq yards. Nitesh Long Island is located on National Highway-7 – Connecting Bangalore to the other IT Hub Hyderabad. Nitesh Long Island is one of Bangalore’s most sought after Plotted projects. It is a perfectly planned community with an intricate network of roads which offer easy access to any part of the property. The Property is equipped with luxuries specifically designed to give a royal feeling to the residents. Nitesh Long Island is designed to pamper the whole community, with minutest of details being taken care of, making life here that much easier. The new proposed PRR (Ring Road) i.e. NH 207 will reduce the time and kms Distance of the Electronic city, Whitefield, Airport etc substantially. DLF Valley – 3&5 BHK Independent Floors In Panchkula(Chandigarh). 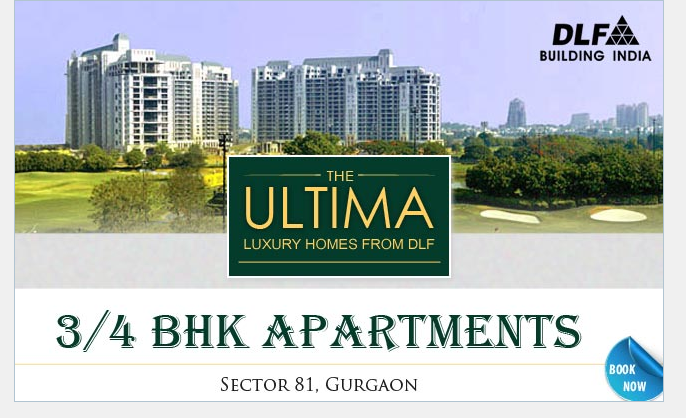 Designed by renowned architect Hafeez Contractor and being developed by DLF , it provides the best of design ,aesthetics, technology and urban planning. The entire area is on a platitude with the level difference of 40 feet (high) from the National Highway. A fully integrated modern community with a mix of Low Rise & High Rise Development. Project is approved for Funding by Leading Banks.